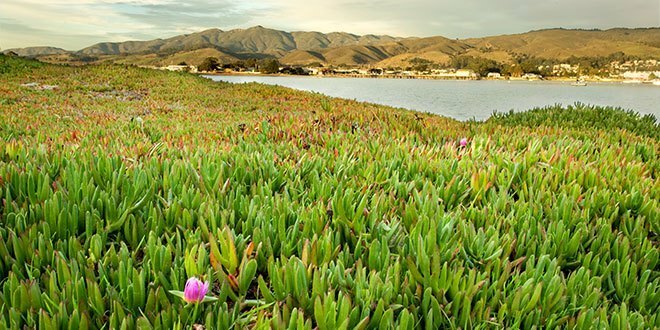 The Wandering Jew is not a single plant — it’s the name given to a few different plants in the genus Tradescantia. When grown outdoors it’s considered invasive in many regions of the world, but those same growing characteristics make it perfect as an indoor vining plant. 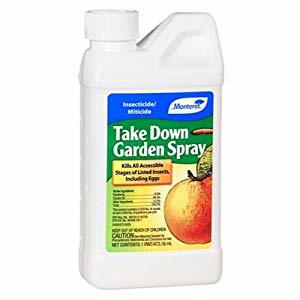 Pests Root rot, spider mites, aphids. 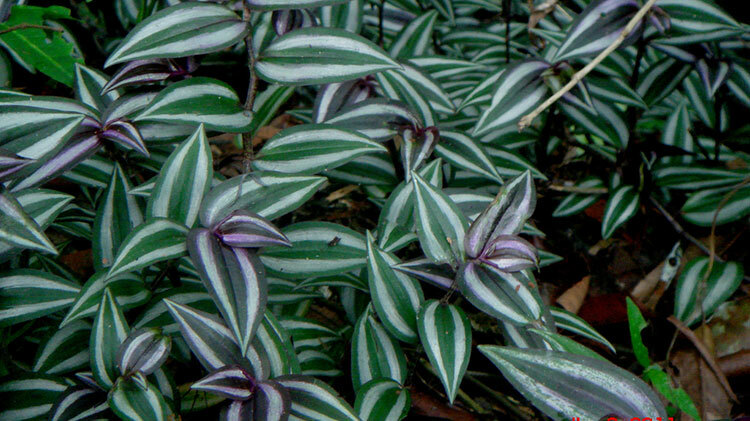 Wandering jew plants have green, heart-shaped leaves with purple stripes and a silvery sheen to them. Depending on the variety, the leaves can be solid or variegated. Blooms are small with three petals and can be violet or white. The name ‘wandering jew’ is really referring to three different species in the Tradescantia genus: fluminensis, zebrina, and pallida. The classic wandering jew plant. 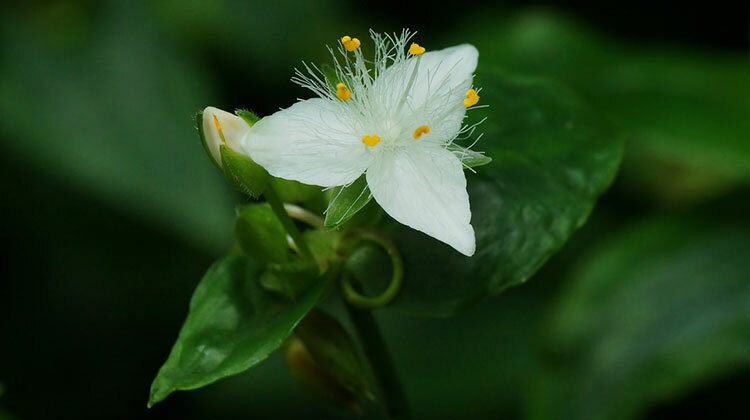 It has dark-green leaves that contrast nicely against the bright, white, three-petaled flowers. As you can probably guess, it’s named for it’s zebra-like leaves. The middle of each half of the leaves are a creamy white, with the outer edges tipped in silver. This variety is unique in that the foliage is a deep purple with light purplish-pink flowers. It’s one of the most popular varieties of wandering jew. 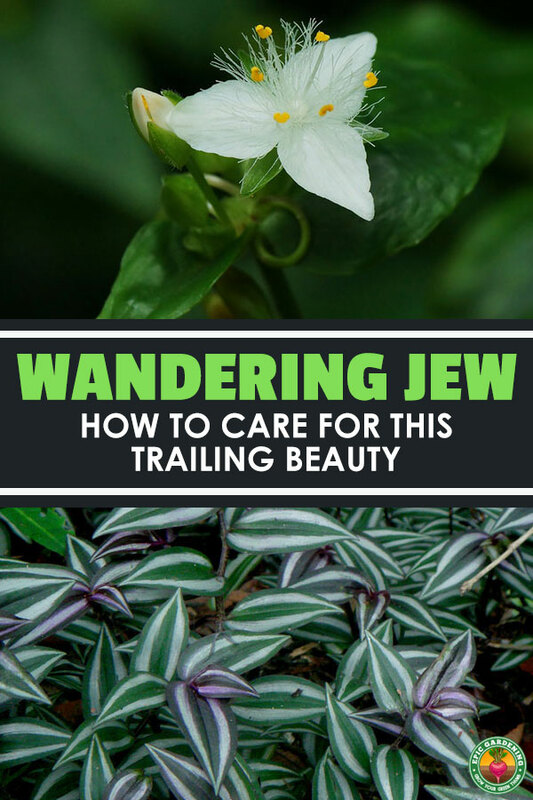 All types of wandering jew plants are fairly easy to care for. As long as you give them a good amount of light and prune regularly, you should enjoy your tradescantia for many years. This is a houseplant that really thrives in bright but indirect sunlight. The brighter the light you provide your wandering jew plant, the more flowers it will produce. If it’s not getting enough light, the brightly-colored foliage will begin to fade. These plants are happy as long as they’re not kept soaked or allowed to be completely dry too long. Keeping the soil evenly moist is the best. You’ll know it’s ready for more water when the soil is dry to at least 1/2″ deep. Give it a good drink but be sure that the pot drains well. You can use a standard houseplant potting mix for your wandering jew, but they’ll do even better if you give them soil that has more organic matter. You’re looking for the perfect balance of water retention and draining ability, so give the plant a watering and watch to see which way your soil tends to go, then adjust accordingly. 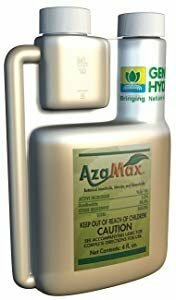 Use a water-soluble fertilizer at least twice a month during the growing season. 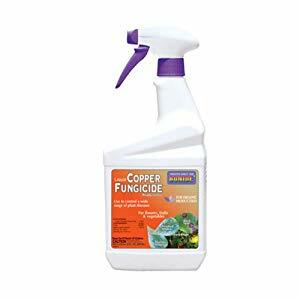 Be sure to dilute it down to 50% strength to avoid nutrient burn on the foliage. If your wandering jew’s beginning to become a bit crammed in its pot, select a pot that’s 1-2″ wider than its current one. Prepare your pot with a little fresh potting soil around the sides. Remove your plant from its existing pot, setting the root ball into the new one. Add or remove soil as necessary to get it in place. Then, fill to 2″ below the pot’s rim. Lightly tamp down the potting soil to anchor the plant in place. Wandering jew plants have a tendency to get leggy, so pruning them becomes a must if you want to maintain a healthy appearance. Whatever you do, don’t waste your stem cuttings! ​Wandering jew propagation is easily done from stem cuttings. Remove all but a few leaves off of the stem cuttings and then place them in a smaller pot with moist potting soil in a warm, bright area. You’ll start seeing new shoots growing after 1-1.5 months. Wandering jew plants are one of the easiest houseplants to propagate! 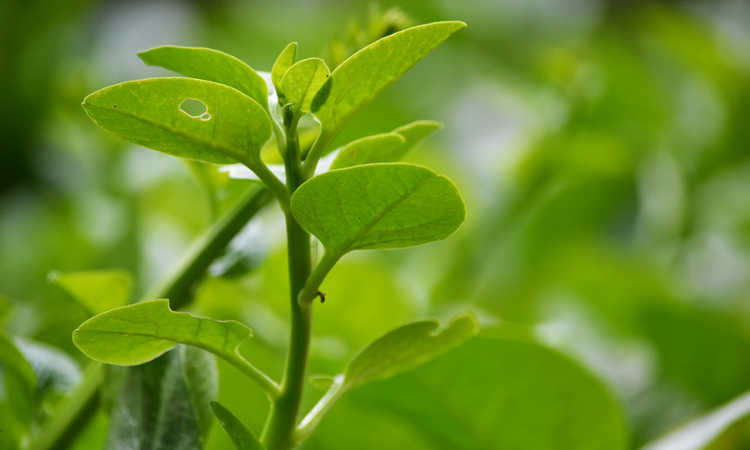 In some people and animals, skin irritation can occur when coming in contact with the sap from the plant. You should keep it in an area that is hard for your cat or dog to reach. A good idea is to grow it in hanging baskets that are too high up for your pets to nibble on! 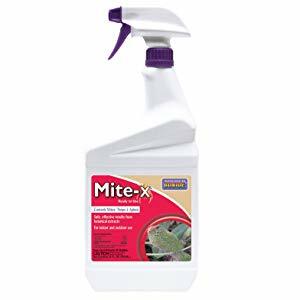 The most prominent pests you’ll deal with on wandering jew plants are spider mites. They love warm, dry areas, so one good way to counter them is to keep humidity high or mist your wandering jew plant. If you have problem #1, simply water less often! If you have problem #2, add some perlite or coarse sand to your soil mix. You can also add rocks to the bottom of the pot to improve drainage. Q. I’m trying to take cuttings of wandering jew, but they keep rotting. How can I prevent this? A. Your cuttings are probably suffering from a fungal infection. To prevent this, make sure to use a sterilized cutting instrument and dip in chlorox, then rooting hormone before you place your cuttings in soil. Q. How do I know how far to place my wandering jew away from a window or light source? A. Leave your plant where it is and monitor the color of the leaves. 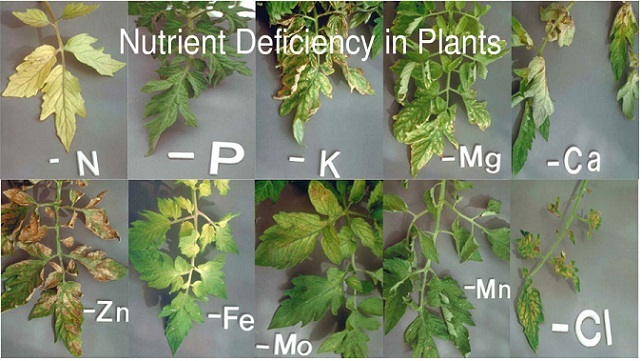 If they start to lose their bright colors, it’s a clear-cut sign that the plant needs more light. Move it closer to the window and keep watching the leaves until the color starts to come back on new growth. Q. I’m having trouble rooting cuttings in soil. Can I do anything else? A. Many gardeners have success rooting their wandering jew cuttings directly in water. Just be sure to sterilize and change the water every so often so it remains fresh and free from any pathogens. When you see roots, plant in potting mix. Q. Is wandering jew plant toxic to cats? In short, no, but it’s also not deadly either. It irritates the digestive tract of pets if consumed, and also produces a dermatitis-like effect on their skin. Q. Can I grow wandering jew plant outdoors? A: Absolutely! It can be a bit tricky if you’re outside USDA growing zones 9-11, but if you’re in that range, it’s easy to grow outside! What is the repotting process for a wandering jew? I adopted one from a friend a few months ago and it’s already in need of a new pot, she’s a very busy girl! I have my wondering jew hanging potted and hanging from a hook on the ceiling right next to a window. I’ve noticed that if I peel back some of the leaves, on the inside a number of the leaves are a nice crispy brown (i.e dead). I’ve also noticed the same at the top of the planter where the stems overflow. I have a ‘watering gauge’ and typically try to keep it right in the middle of moist. Are dying leaves like this normal as the plant grows? I’ve noticed that the leaves are either old or don’t get a ton of sun will exhibit this behavior. Seems natural to me, especially if the rest of the plant is healthy looking and it’s growing big. I keep my purple wj in pots all over the house and under lights in my basement for the winter. One small plant has now multiplied to about a dozen. they send to drop and propagate when they are outside. I keep them in shade as well as sun outside and they all flower in the summer. Sounds like you have an awesome WJ propagating system going! Thanks for sharing, happy gardening. I just read an article about veterinarian school finding reason for a dogs itching problems and it was from the wandering Jew plants. Ah, no way? Interesting. I’ll have to update this piece with a section on pets! I am looking for a particular Wandering Jew plant that I had many (many) years ago in CA. The top of the leaves were green. The underside of the leaves were purple. The top also had about 1/8” of fuzz. I used to pet the plant as I would walk by. The person who gave it to me called it a Plush Wandering Jew. When I moved, I gave it away figuring I could buy it again in the future. Now I can’t find it. Wow Kellie, sorry I can’t help with where to find it but it does sound absolutely beautiful! I’d be willing to send you a few cuttings from mine if you’re interested. it’s called Teddy Bear Vine but it only looks like wandering jew plant. Just got my WJ. I love the contrasting colors. Live in Iowa, the green house had tons of them at 50% off. What is causing my plants stems to wither and dry? The leaves at the ends are sill healthy and beautiful, but as stems come out of the dirt, they appear dead. what can I do to prevent this? Any help anyone can send my way will be greatly appreciated! I am not a plant grower but my uncle gave me one of these. Can they be stored indoors for the winter and planted outside in the summer? I have wandering jew. the person I got it from had it in water only. I grow it that way also. It needs a lot of water if in dirt. It does not have blooms however and I’m wondering if what I have is truly this plant. My daughter in Texas has some and it is outside. It blooms and the leaves she said are 5-6″ wide. Mine are 1″ and I am in Ind. I planted some outside and will see if it overwinters. Her area in Texas has some freezing, but short , lived over night only. I will ck the other names given earlier. I have a Wandering Jew and I absolutely love it. As I was reading your care and growing guard, I saw that you mentioned you can prune the Wandering Jew to make it fuller/thicker. How exactly do you do that? I’m afraid of doing something and in return, shocking it and killing it. The center of the plant is lacking thickness badly. Please help me…Thank you! I live in St. Louis and have been to several nurseries and haven’t found 1 wandering jew. I really want one. I live in South Florida and it grows as a ground cover here. I never mailed plants before, but I could send you some cuttings if you want. I guess if I put the cut end in a wet paper towel and wrap it in foil, that might work. or I could root in water first and send it rooted. 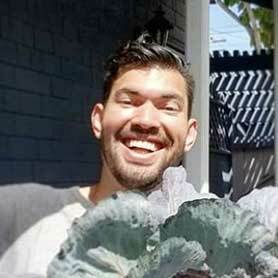 Hello I just came across your discussion post, and I’ve really been wanting one of these plants myself! So would you really be willing to mail some cuttings of yours out? Because if so I’m very interested! A plant group I’m in trades plants and a lot are mailed. You’re correct wet paper towels over the cut or rooting end but wrap with Saran wrap if it’s hot aluminum foil will make you’re cuttings too hot. And just protection for the rest of the plant if the box were to get taken care of. Poorly. 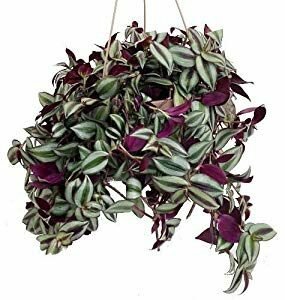 Is it OK to hang a wandering jew hanging basket on a front porch? If yes, which direction should it face? At what temperature should it be moved inside for the fall? At what temperature can it be moved back outside in the spring? Thanks! Love this plant, have a couple of hanging baskets each year that will usually grow 6-8 feet. I did hang one just beyond the awning off our deck once and it grew to 15 feet or so. They are so easy to grow. You can take a 4-6 inch cutting, dip it in some of that root powder(also put a little powder into the soil where you place the cutting) and within a month you’ll have a fully vibrant and healthy plant. I agree with you all on the name though. Really? It’s funny I asked the girl who sold it to me last year what the name of it was and she said, “Wandering Dew.” LOL So I think that’s what I’ll call it. Sounds better even if it makes no sense. I live in north carolina I would like to know if it is alright to plant my jew outside. If so when should I plant it? Hey Harley, I know it’s an old question you had about the Wandering Jew plant but to answer it I’m also in NC and NOW is the time to go ahead and plant it. Well actually after this little cold spell passes would be better. I’ve been growing them for years here outside in NC. I believe it works best in a hanging basket high off the ground because it likes to grow downward kinda like a vine. It also will do well in a flower bed but I prefer the basket. Even in a standard 12 inch basket you can easily get it over 10 feet. It’s very beautiful with the green and purple leaves(it won’t flower), grows fast and it’s very resilient. The thing won’t die until November or December, long long after all the others are gone. If you brought it indoors I’m sure it could survive just fine, but mine usually get so huge bringing them indoors is a little ridiculous. Last year I remember having to trim them with hedge clippers because they were already 10 feet long and it was only mid-summer. I fertilize very little btw. I know this was an old post but I felt compelled to respond. Good luck. If you live in certain areas these will thrive outside if they’re in a good location for their sun requirements. I’ve never tried growing them in a flower bed, we get really cold temps here and it would be a major job digging the plant up and bringing it indoors until spring. I am reading that everyone one has theirs as indoor plants. I have mine planted outside in my flower bed and they are doing fine. Where are you located? If you are in an area that has mild winters it would make sense. Cheryl, if the soil dried out fairly quickly the plant should be ok. I’d recommend sticking your finger down into the soil as far as you can to see how wet the bottom section is. Even if you’ve hung it somewhere to dry, the top of the soil can be dry while the bottom part could still be soaked rotting the roots. These plants will literally grow outside in the ground, so a lot of rain isn’t the main problem. The problem comes when you have a pot or hanging basket that doesn’t have drainage holes where the excess water can drain away from the roots. I have never kept one outside. But, my neighbor hasone that she keeps outside until time for frosts. It growed like crazy outside, but she had it hanging under her porch out of the rain. If your pot doesn’t have drainage holes and the soil deep in the plant is still wet, it would be safer to repot the plant. 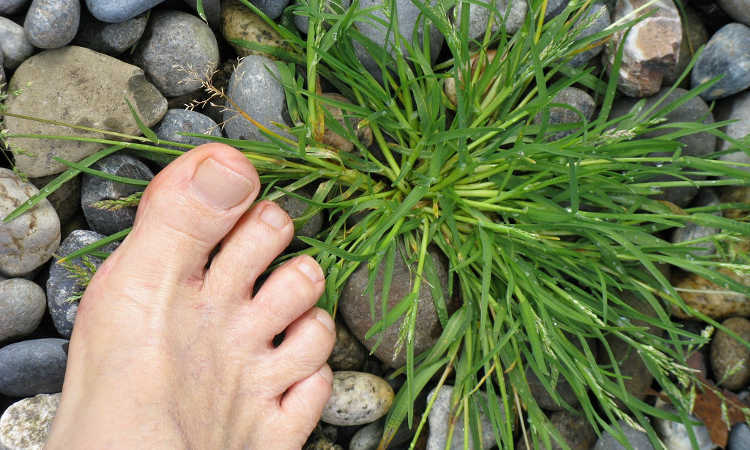 If the soil has been wet for awhile, you’ll probably find that there are some mushy rotting roots and these roots will cause the rest of the roots to rot as well. Hope your plant comes out of it. I got a wandering jew for Mothers Day I did not know that it was a indoor plant. and hung it out to dry do you think it will come back and what should I do? Please help I feel so bad my son got this for me. As long as it does not get below 20 outside it should be fine, I planted one behind a dune, on the beach ofcourse in topsail, I gave it 3 foot hole with organic fertilizer, its thriving, hugging the ocean!! @ michelle it really does not matter what size you put it in if you put it in a small one the bigger it gets the bigger the pot you will have to transplant it in so it would be better to put it in a bigger pot to begin with place it in the center of the pot so the roots can expand. @ lester you can till the ground up tearing the roots out after trying to pick some of it if you want to save any of it and then wait for them to reappear wich would take about 2 weeks or so then plow them again give another time period. The more you plow them under the more of a chance that they will not sprout back up. Another things is that you can use is strong weed killer may have to spray several times but they will die after a while they are hard to kill out One more tip is that you could take and place a Black plastic over the area it being as big as you said then it would take allot but after a few weeks they will die from the heat and being deprived from water. Hope this may have helped some what. @ Megan You can make a solution in a spray bottle with 2 parts water to 1 part liquid dish detergent make sure it not anti-bacterial then shake well letting it set and then after the flies has left you can then spay it with normal water washing the other stuff off and then you are good to go. I have a wondering jew and been keeping it inside for a few months now, I noticed the other day there are a lot of small fruit flies all over and in the plant.. Once I put it outside it got worse.. How do I get rid of the flies so I can bring the plant back inside?! We have wandering jew gone feral over our lawns. I am talkinig about a couple of acres of the stuff. What is the best method of killing it ? it’s really a great plant, especially for a novice like me. it’s gorgeous & easy to grow & propagate. it also looks great in little vases around the house, for decoration, when trying to propagate it. It comes from a legend of a shoemaker who taunted Jesus on the way to the crucifixion. The doomed sinner was forced to wander. I have a Wondering Jew that I have been growing for the past 10 years I know and have grown other pots of the wandering Jew from cuttings just put them in water let them root and then plant in a new pot. My first plant has many children plants and my first plant is as beautiful today as it was when I took the cutting from a friends plant years ago. Not “wondering,” – “wandering.” Perhaps just a typo. Do some research before spouting off. Seems appropriate. Jews have “wandered” all over the planet. I think it’s a funny name. I think it is because the Jewish people wandered all over and are very resilient. thriving wherever they happen to be planted. I have my Wandering Jew plant outside next to my foundation. I call it my tough Jewish plant because it survives some pretty bad temperature variations (and it isn’t the greatest soil either. ), even here in Northwest Florida. I love the leaves and the tiny flowers. I think it’s named after a mythelogical man that pestered Jesus and was sent off to wander the Earth until his rebirth. 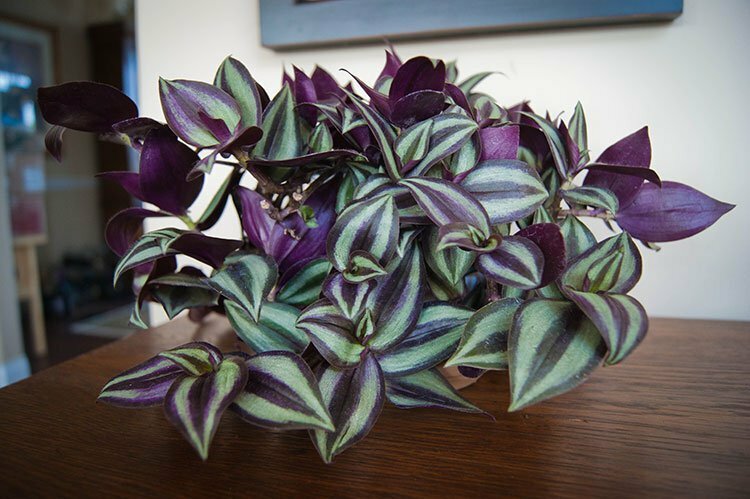 I have Wandering Jew Plants – they are green and white with a purple underbelly. Not sure if you found your plant or not, but Hanover Floral in New Jersey has these very beautiful plants. I bought two of them today and they were inexpensive $25 per hanging basket and they are huge plants. I know they ship anywhere, so it’s worth calling them if you are still looking for this plant. I have never seen a wandering jew plant before and I was captivated by the beauty of the long hanging purple vines. Hope this helps you. Looking for a plant. Will pay top dollar for it or for a cutting. 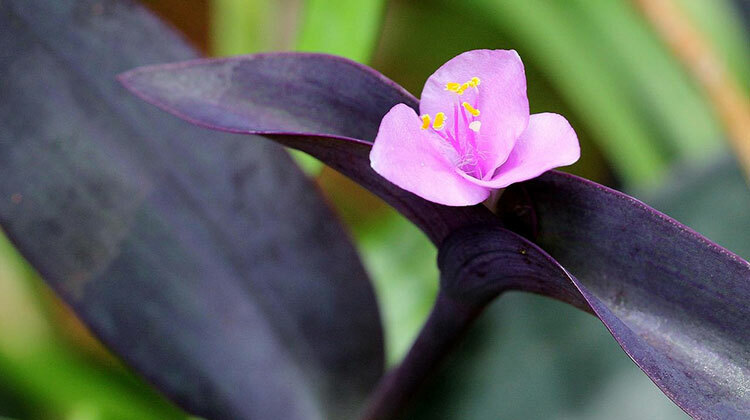 Tradescantia Flumineses Varigated Inch Plant – Wandering jew. A question about my Wandering Jew. I have it hanging in a south window, with somewhat indirect light. I water it as it should be, and overall the plant seems healthy, but I notice that the leaves have turned from “meaty” or “pulpy” to somewhat thin and papery feeling, and some of the vibrant purple and green has faded somewhat. Is this common? If not, am I doing something wrong? Should it hang somewhere else? Thanks for any help in advance! Probably too much water. Let the soil dry out completely before watering again. But don’t let it stay completely dried out for too long! Could your plant be purple velvet? Looking for the name of a indoor plant that vines,purple under leaf. Is not jew ivy. Could be Plectranthus ecklonii Mona Lavender. I notice that this is a three year old question but I came across it looking for a plant like you discribed. This was the plant and it has lovely purple flowers. are you speaking of Paul’s Coat?